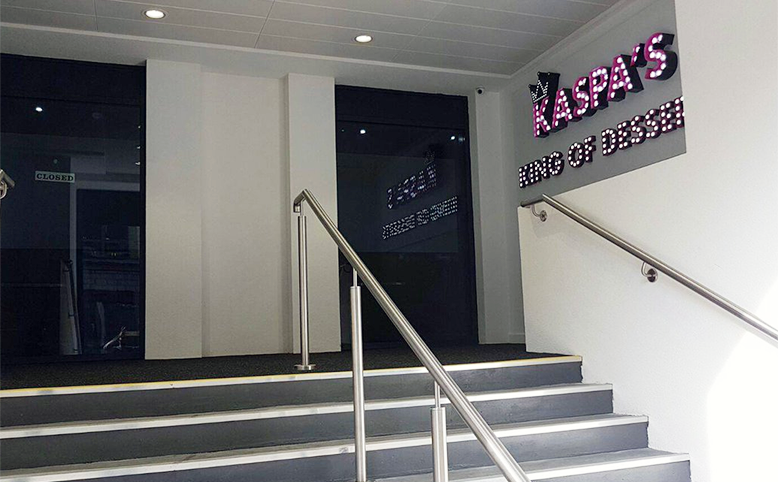 The World Museum is conveniently just across the road from Kaspas so once we'd finished ooing over mummy's and ewwing over the large spider that dangles from the ceiling we headed over to Kaspas for a tasty treat. 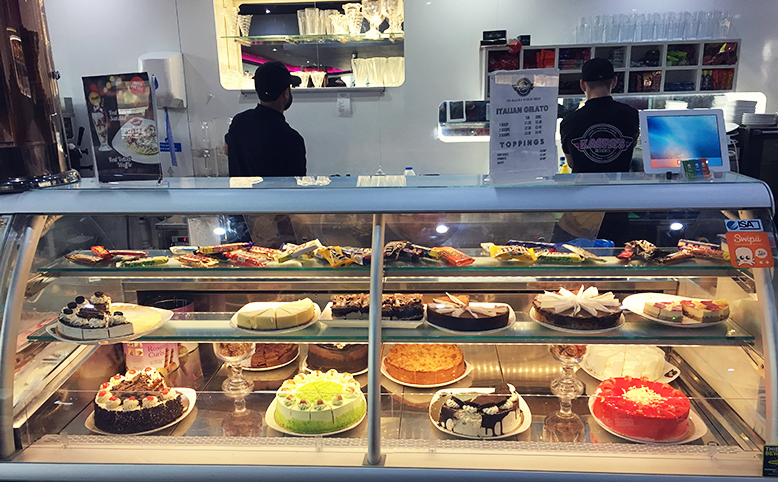 Neither of us had been here before despite seeing it on our bus journey into liverpool every single time and saying 'we need to go there' well two years is the charm and we finally made it to dessert central. 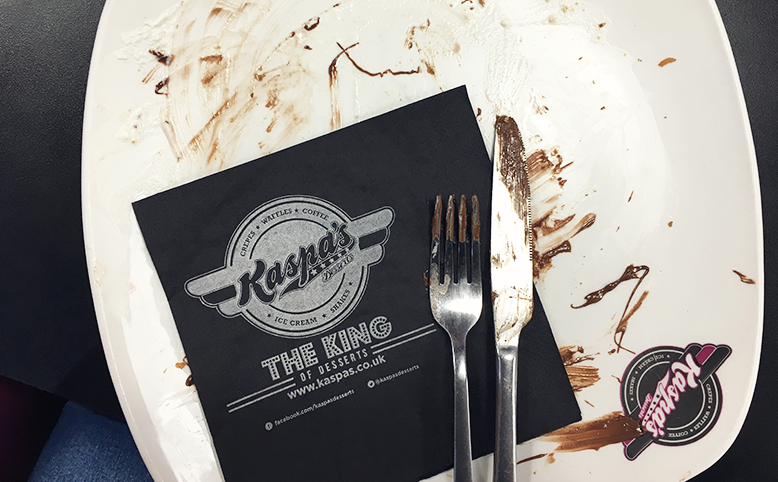 If Kaspas is the king of desserts then just call me the queen because I was in my element! 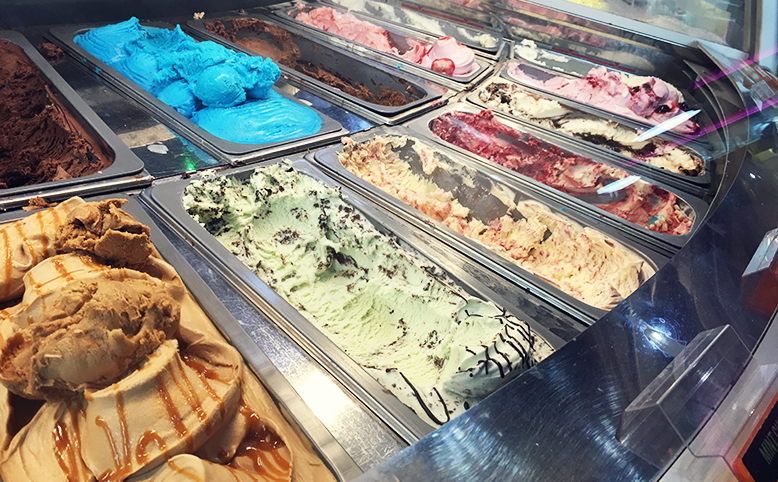 The whole place screams YUM, the smell of pancakes, the stunning glitter walls that I tried to convince my boyfriend we needed in our 'future home' and the selection of ice creams which made me so happy because they did Pistachio flavour which not a lot of dessert places do! The whole aesthetic of the place just instantly made me happy ok?! And I can't not mention the staff. They were so friendly and my boyfriend brought up several times how impressed he was that the manager Steve was 'getting stuck in' with the rest of the staff and not just standing there as you notice in some stores! He showed us to our table, told us how to order and then didn't hover which I really appreciate! Let's talk about this beast of a menu! I knew there was options, but wasn't quite prepared for HOW many options and if you know me personally you know I am awful at decision making! I flipped back and forth between a crepe, waffle or apple crumble and finally decided I wanted a waffle with nutella, strawberries and whipped cream! Kenneth went for a white chocolate and raspberry cheesecake with ice cream and we both had a bottle of coke (we couldn't stomach having a rich smoothie as well as a huge dessert) I hopped up to the front of store, popped my order in and took our cokes back to the table. There was only about a 5 minute wait for our desserts to arrive and I was so ready for it! As soon as Steve brought the desserts over I think my mouth started to water. I don't think you can appreciate just how big this waffle was but I was in heaven! I've actually never had a waffle before! 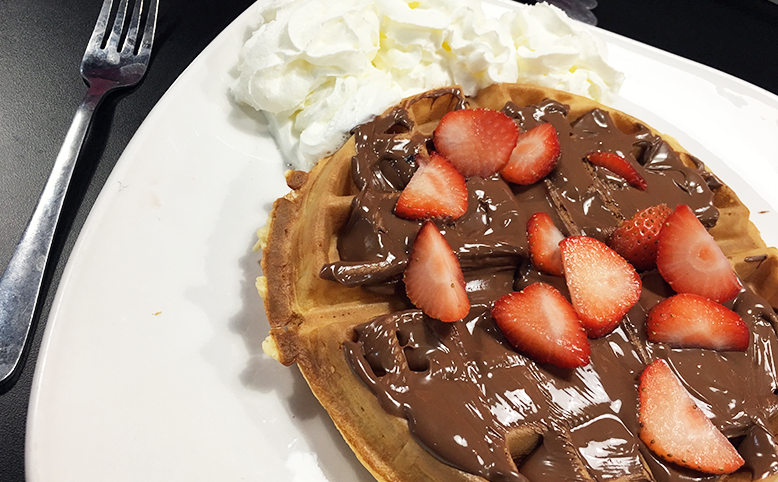 I always opt for crepes if there is the chance but I'm so glad I went for waffle because it was so thick and light and just went so well with the nutella and strawberries, and they don't skimp on toppings either! I was in heaven from first bite until last and what really surprised me was that it wasn't heavy or stodgy so I didn't feel full or sick afterwards (I just wanted more to be honest!) Writing this now I can actually feel my mouth watering at how tasty it was! 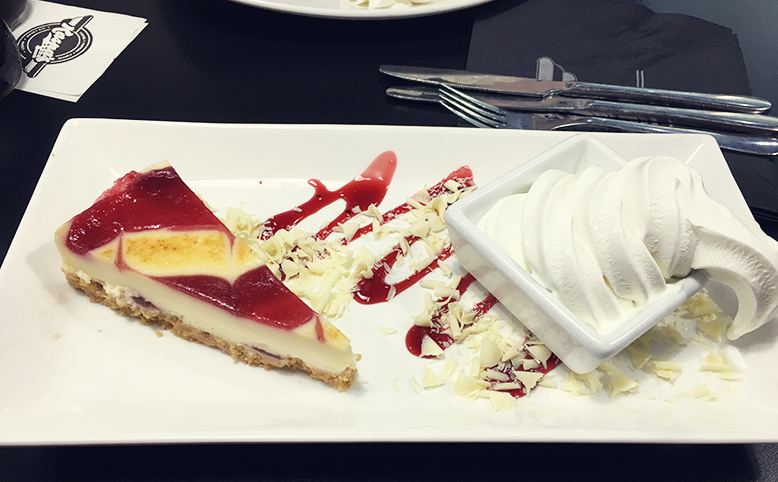 And it's not expensive either, both our desserts and drinks together came to only £13 so it's a really nice way to treat yourself after a hard week! I asked Ken to rate his dessert out of ten and before I'd even finished the question he gave it a big fat ten. He LOVES white chocolate anything and cheesecake too, so this was basically his dream dessert! Whilst I'm not too fussed on cheesecake I couldn't deny it looked and smelled incredible! 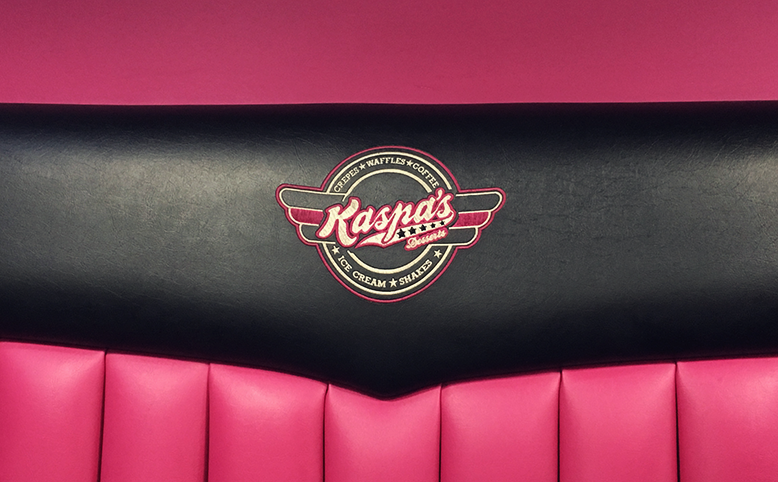 I think we can see that I enjoyed my trip to Kaspas and I can 100% say I will be going again! Though I'll have to try not to go EVERY time I visit Ken as I think they may have to roll me out eventually! Overall I was so impressed with no only the food but the staff and the cleanliness of the whole place. Yes I did a toilet check and it was spotless so would I recommend Kaspas? Hell Yes! 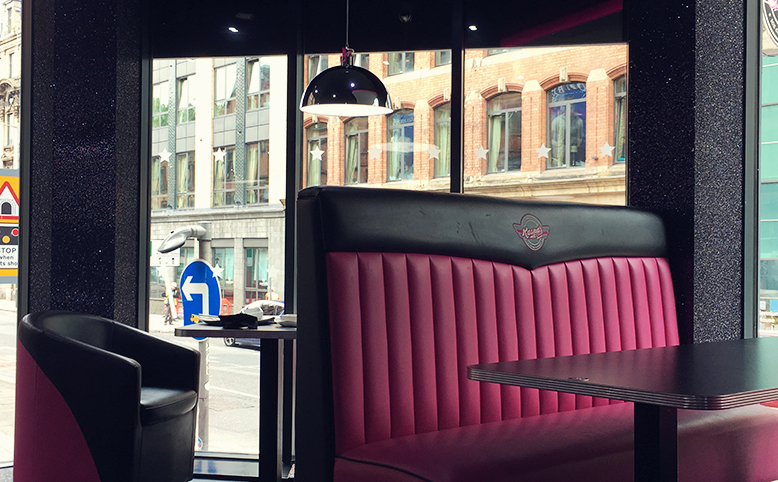 It's perfect for first dates, 2 year anniversary dates, friends and family visits. Just be prepared to be staring at the menu for a while trying to decide! Check if there is a branch near you here. 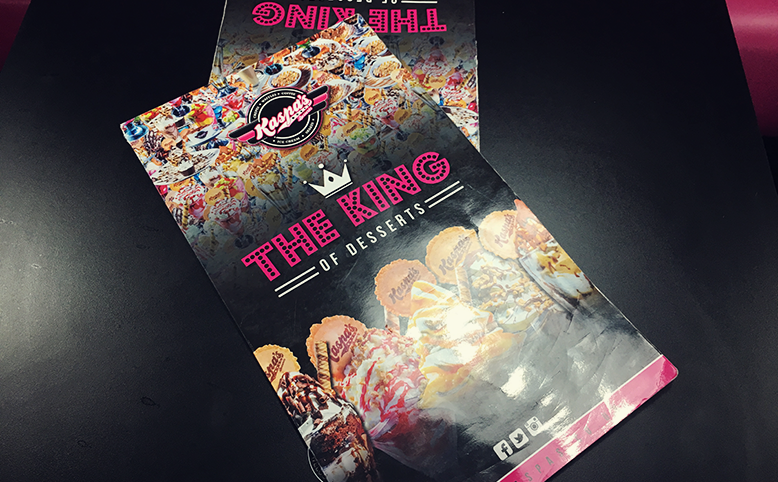 Thank you to Kaspas for paying for Ken and I to celebrate with two delicious desserts!